Somewhere over the rainbow… Palm trees sway. 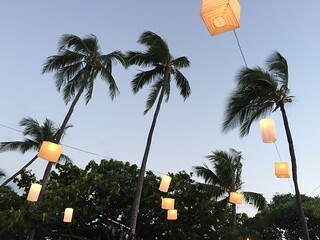 Paper lanterns danced on an island breeze at the Royal Kona Resort. 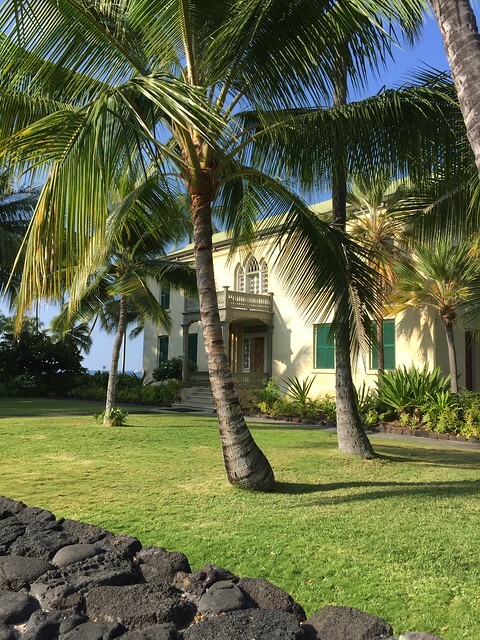 Morning walk past the Hulihe‘e Palace in Kailua-Kona. Trees offered shade as we took a break from our hike on the Ala Kahakai Trail. The public trail by the coast connected beaches and ran behind luxury properties and resorts. We started our hike at Hapuna Beach. 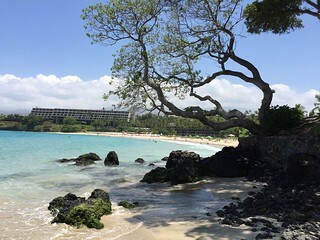 We ended it at Mauna Kea Beach. The view was stunning, from beach to beach. This is my entry for this week’s Travel Theme: Trees. This is one my favorite spots to enjoy a sunset with hints of pink, orange and blue. 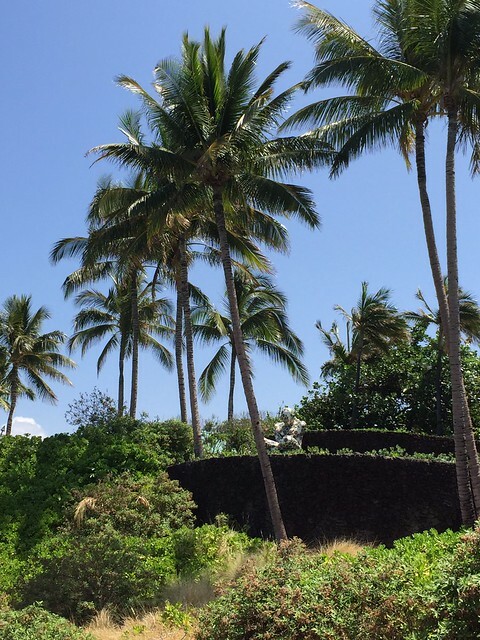 We celebrated a wedding and reunited with best friends at the Royal Kona Resort on the Big Island of Hawaii. 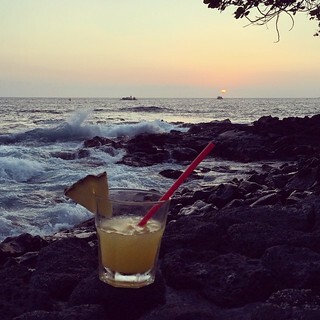 Add a fruity cocktail with vodka, mixed with pineapple and orange juice. Paradise. A ukulele version of “L.O.V.E” played on our plane after we landed in Honolulu. This song now brings me back to the sun, surf and sweet memories of our quick weekend trip to Hawaii. 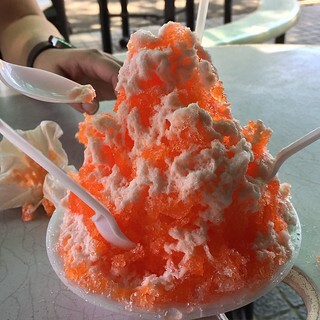 I also sampled the sweet flavors of the island after a hot, sweaty hike between beaches. We gobbled up shaved ice with ice cream drizzle at Hapuna Beach. This is my entry for this week’s Photo Friday: Orange.